Here it is! Our latest creation....Panacea Azul! A beautiful Cameroon wrapper filled with the finest filler tobacco and bound with a strong Cuban seed binder. This blend has a little bit for every Panacea fan (aka: Flatbeders). Filler is our signature Piloto and Olor ligero, Seco Cubano...however....we also added a touch of Pennsylvania Broadleaf. So, Azul has the Panacea signature notes...but with a twist of Broadleaf. I think you will really enjoy the blend. Those who sampled the blend through development loved it. So, grab a 4 pack of 660s and enjoy! I really enjoyed the 6x60 Azul Cameroon. It has a great rich taste and wonderful earthiness to the smoke. I love all the Panacea cigars, this one is just another of my favorites. I do most of my smoking of cigars while playing golf. Not too many chances this time of year in the Midwest. However, we had a warm day last Sunday for the Bears-Tamps Bay game, so I decided I would try the the Azul 660 Cameroon. Since it was raining, we watched the game in my neighbors garage. I am glad i did not "waste" this on the golf course. I guess "waste" is a little too harsh since I would smoke this anywhere. Great smoke!! I need more! Hey this is exactly what you are looking for quality and value. Best cigar I have had in the past year this will be a new staple in the humidor. I'm a huge fan of Cameroon leaf and the Azul 660 doesn't disappoint. This is a mild smoke but it has more flavor than most cigars in this strength category. 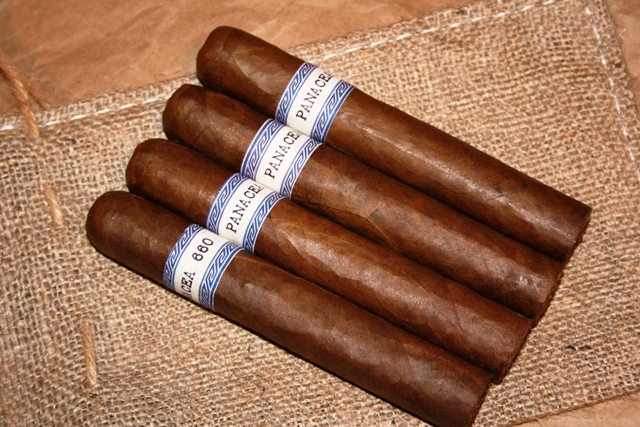 All in all, the Azul 660 is an eminently approachable stick for the novice or veteran stogie geek. Another great cigar from Panacea. More of a mild smoke. I did not get a good pull off two of them, the other two burned fine and the overall quality of the tobacco was great. You should try these!! Copyright Flatbed Cigar Company. All Rights Reserved. eCommerce Software by 3dcart. Join our Mailing List to get 40% OFF coupon!